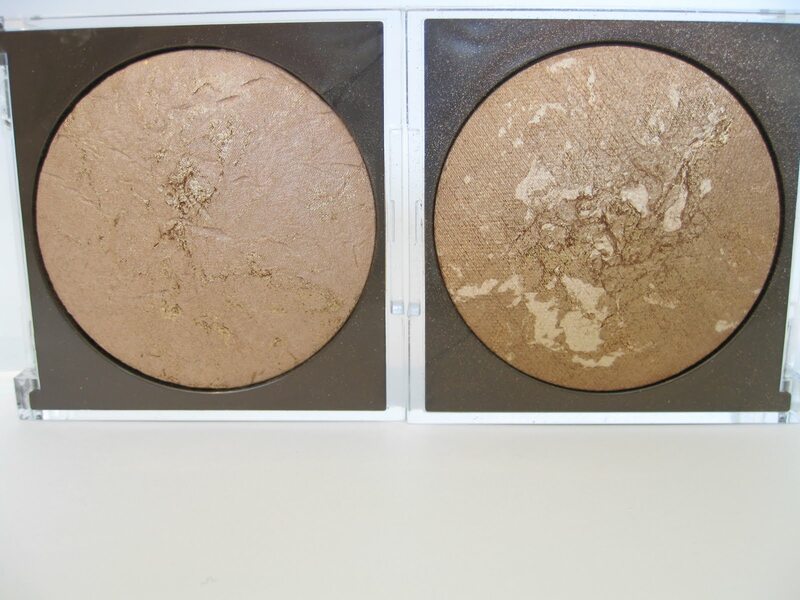 Kalifornia Love: Nudey Tuesday: Prestige Sun Baked Mineral Bronzing Powder in "Rich Bronze"
Nudey Tuesday: Prestige Sun Baked Mineral Bronzing Powder in "Rich Bronze"
I've been loving the Prestige Skin Loving Minerals Sun Baked Mineral Bronzing Powder in 02 Glam Tan so much that I bought the other, lighter shade in 01 Rich Bronze. 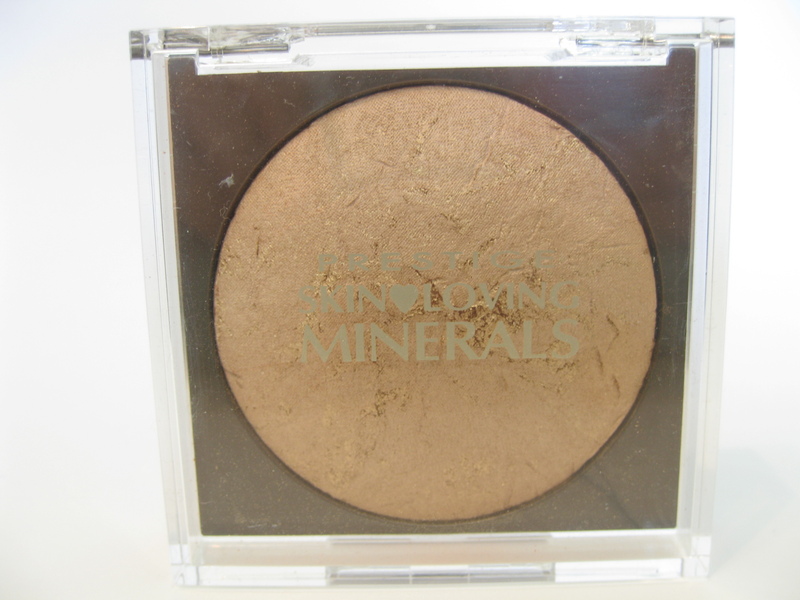 The Packaging: The bronzer is packaged in a cheap, bulky, plastic case. I really don't like the case as it just seems to take up a bunch of room -I'd prefer a thinner, rounder case. I also feel that it'll break if I'm not careful. 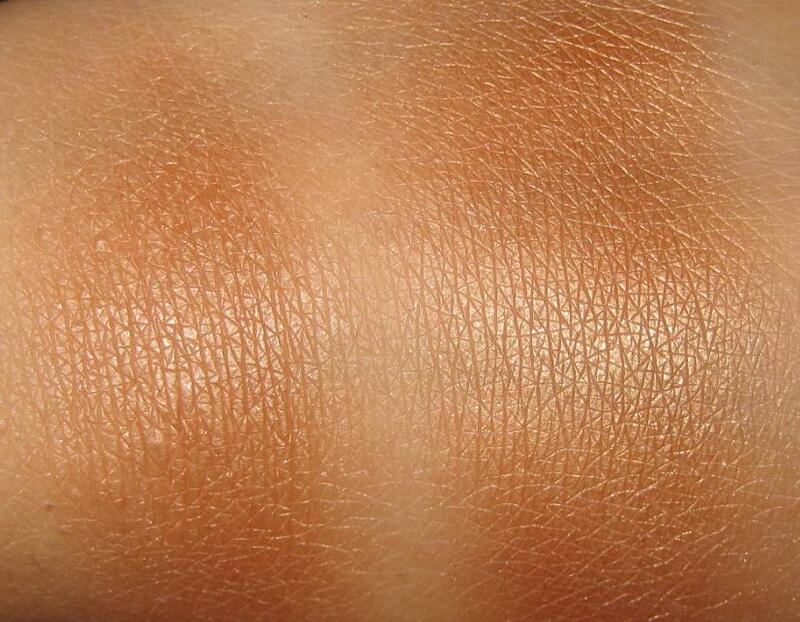 The Product: Like Glam Tan, Rich Bronze has a smooth and silky texture and gives off a dewy glow. 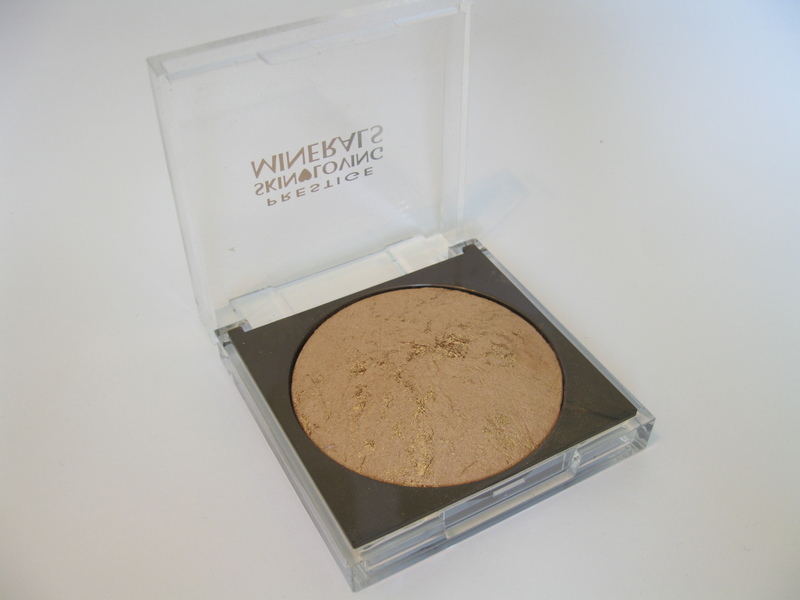 It's very shimmery so it needs to be used with a light hand and be buffed out. 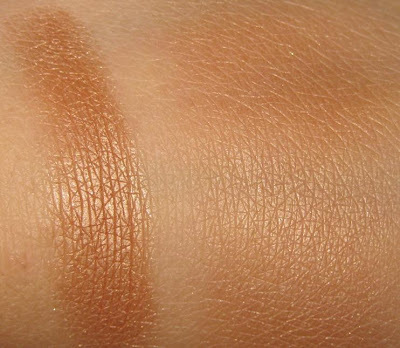 It also lasts for hours (up to 10 but I wash it off after that long) without the help of a primer. 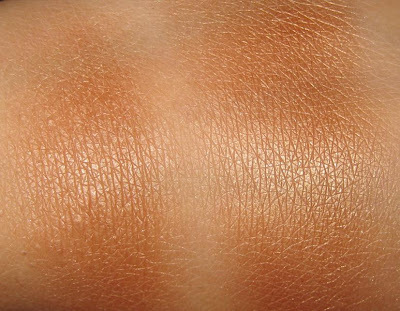 And best of all, it doesn't irritate my skin. 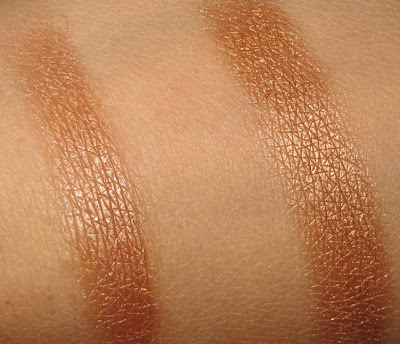 The Color: 01 Rich Bronze is a pigmented beige-y bronze that has a hint of rose gold. 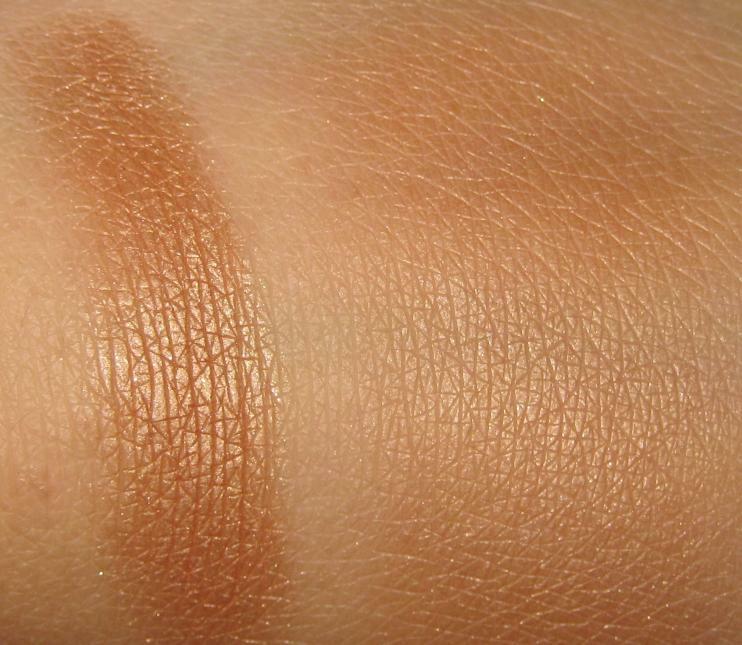 This is much cooler than 02 Glam Tan, which is a warmer golden bronze (see review here.) 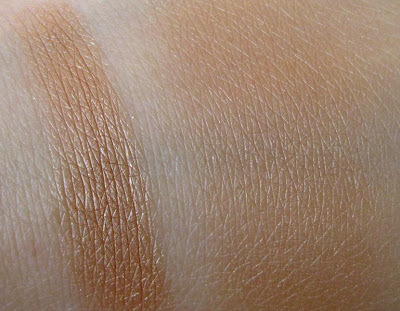 Blended, I can see that Rich Bronze is a little pinker and peachier while Glam Tan is darker and more golden but with subtle peachiness. 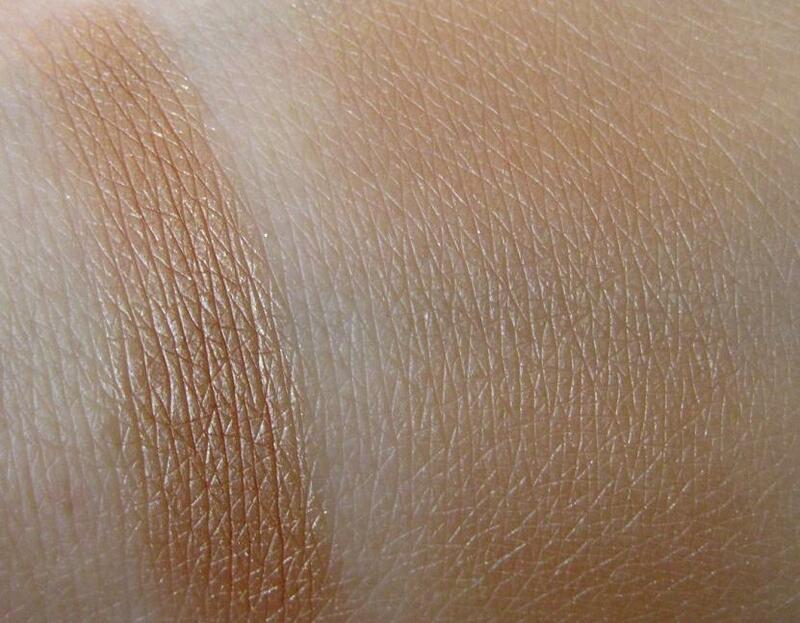 Warmer toned ladies can still pull off Rich Bronze but I think Glam Tan would be a much better choice. Overall: Like Glam Tan, I'd definitely repurchase this -but in a color that suits me better. 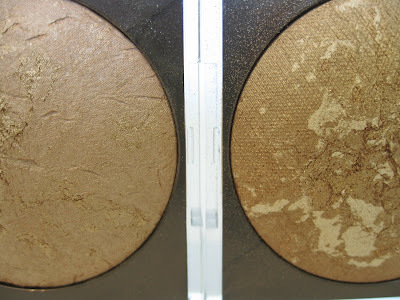 I love the texture and great color payoff of the bronzer but I prefer Glam Tan over Rich Bronze. 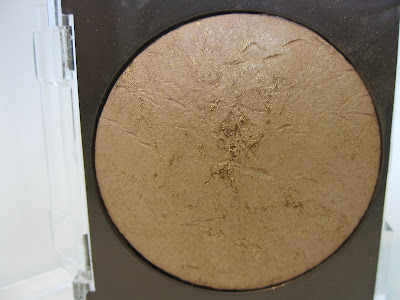 I think this shade (Rich Bronze) will look amazing on those with fairer skin tones.